Forget about the barnstormers. For once, April in Washington is not going to be just about politics and cherry blossoms. Grab a double espresso and get ready, it's going to require serious stamina to keep up with the boothhopping art aficionados who are set to descend on artDC for the city's first-annual modern and contemporary art fair. 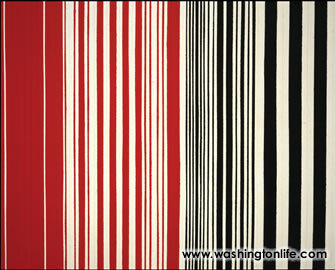 From April 27-30, the Washington Convention Center will feature a broad array of artistic disciplines, including painting, sculpture, photography, works on paper and video art. With more than 80 international galleries from Europe, Asia and the Americas represented, anxious collectors will shell out millions of dollars to acquire works; artist's careers will be propelled; and contemporary art history will be made on the shores of the Potomac. From the cleverly conceived New Media section by curator Rody Douzoglou (which offers an international platform for works in video, sound and internet art) to large-scale installations and sculpture such as "Slice" and "Project Spaces," art-minded buyers and window shoppers will have multiple options. Additionally, ArTalk-a series of lectures and panel discussions-is included with the price of admission. And if cocktails are your fare, you can sip chardonnay while viewing video projects by regional artists at the Video Lounge & Bar. PICK UP GALLERY GUIDE For over 30 years, Gallery Guide has produced the most comprehensive pocket-sized source of galleries, museums and local exhibitions. Complimentary copies can be found at most galleries and at artDC. PLAN YOUR ATTACK! 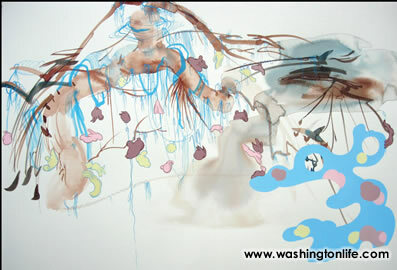 Visit the artDC website (www.dc-artfair.com). See which galleries will be exhibiting. Visit their websites. See what they have to offer and make a list of what you are interested in. BE KNOWLEDGEABLE BEFORE YOU BUY Familiarize yourself with individual artist biographies and educational background. 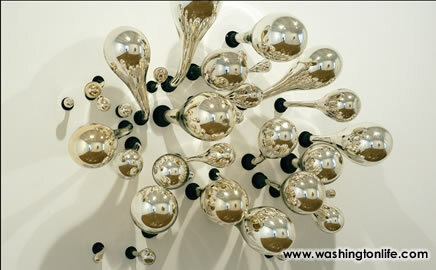 Check to see if they are listed in art databases such as ArtNet or do a Google search. ArtNet will provide pricing information, while Google will aid in finding biographical information. Upcoming museum and gallery shows as well as retrospectives can also be found on Google. These components can increase value as well as the artist's appeal. The sites will also tell you how a certain artist's work has sold in the past. 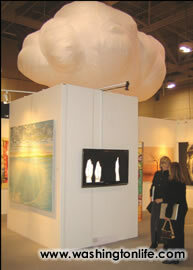 TALK TO GALLERY OWNERS Always ask questions regarding a work you wish to purchase. The gallery owner's insight will open your eyes to a variety of details that you may not have noticed. They can help you discover "the bigger picture." VIEW AS MUCH ARTWORK AS POSSIBLE This will help you gauge the value of what has caught your eye. Pay attention to your visceral reaction to the work as well as your first and last thoughts. 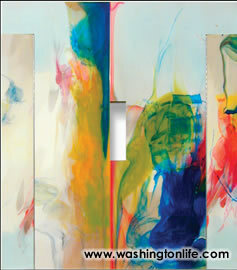 Allow yourself to respond to color, texture, material and subject matter. RESEARCH PROVENANCE Artwork is a safer investment if it has been illustrated in an exhibition catalog - it helps the provenance (documented history and ownership) of the work and makes the artwork more desirable. Although everyone would prefer the work they wish to purchase to be featured in an exhibition catalog or full-page ad, it's not always possible. If the work is not within your budget, choose a similar medium from the same time period. LOVE IT, BUY IT Always collect what you like. Then live with it. PITFALLS AND PROFITABILITY The condition of a work is paramount, even for works by well-known artists. You can't expect a notable jump in value if the work is in poor condition. Always purchase the best possible piece within your price range. Keep in mind that restoration decreases value. So, unless you are purchasing Picasso's Les Demoiselles d' Avigvon, (which increased in value after the restoration), never buy art that has been restored. 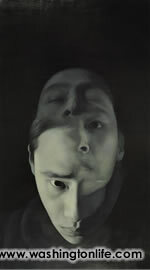 At the end of the day, when it come to judging art, whether in a museum, gallery or artDC, leave it to your own eyes. It is generally safe to bet on your impression.